Download your City Gospel Mission Caring Cards, and keep them with you. If you encounter a homeless man or woman and want to help, hand them a card and let them know a hot meal is waiting at the Mission. There’s even a map so they can find their way. We know you care about the people in your community. Why not sign up to get inspiring stories and email updates from City Gospel Mission as well? Thanks so much for caring! 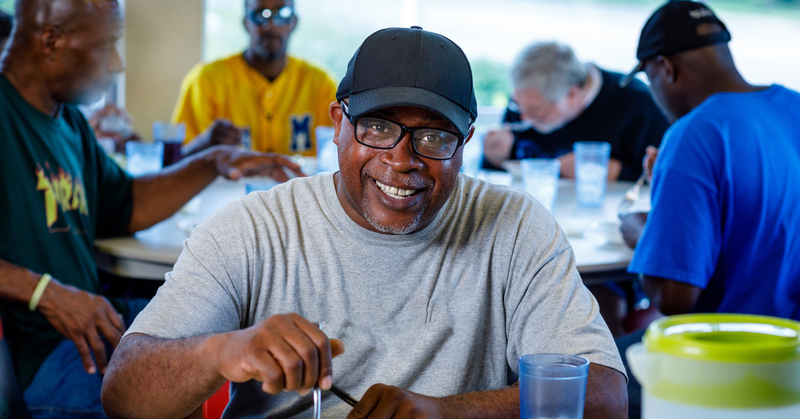 Just $2.04 provides a hot meal and care for someone in need. Sometimes, someone just needs to know they matter before they can take the first step to getting help. Once they come through our doors for a meal, a shower or a safe night’s sleep, they start to feel love and hope surround them. This is the first step to a life transformed. Your support makes it all possible.